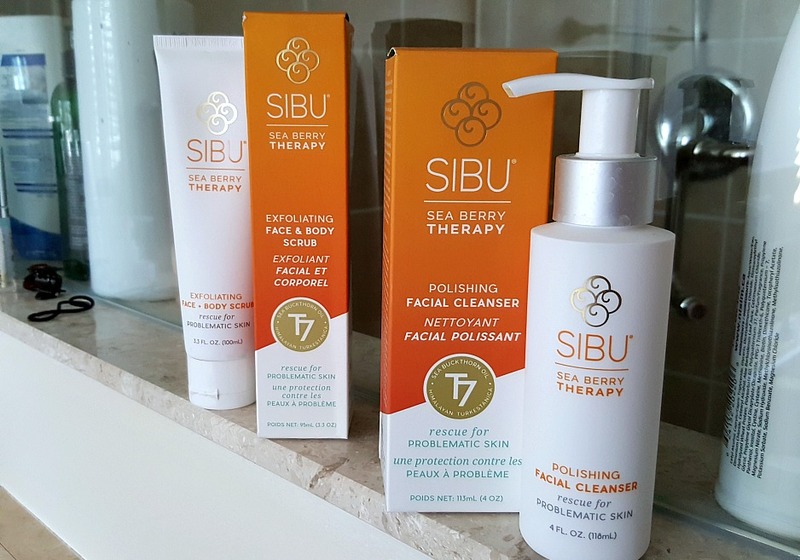 I was contacted a while back to test out some products from Sibu and being that I've never heard of this brand before, I decided to do some research online about it before I tried it out. This is a brand that has grown to include internal supplement products and a full range of topical skincare products specially targeted for problematic skin. 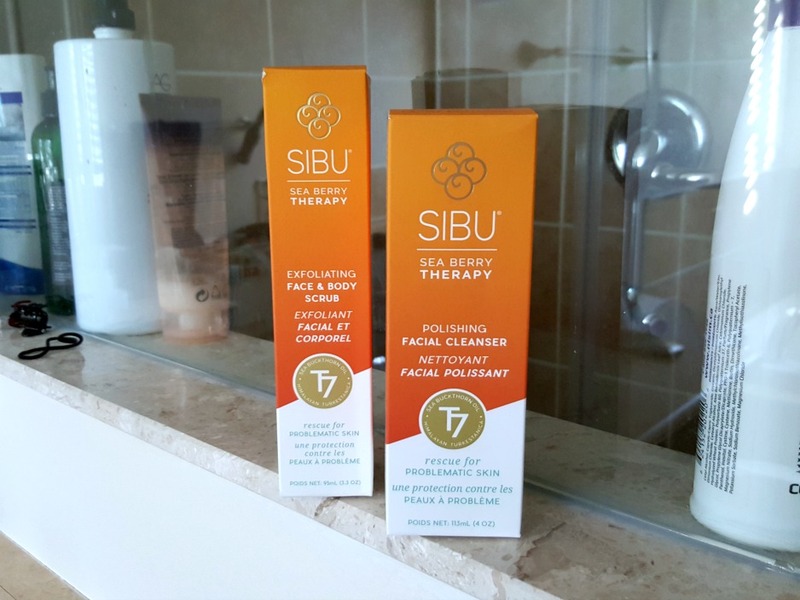 The brand is sold both online as well as in various stores in both the US and Canada.The key ingredient in this skincare line is the sea buckthorn plant which is said to host an abundance of beneficial properties. To find out more, I highly suggest you to visit their site and read the story behind the brand. For some of you who may know, July was an extremely busy month for me and my skin was the first thing to act up and show the signs of all the stress. Being so, I thought that it would be a perfect time to give the following two products went to me a go. Based on the website, this product is said to remove dead and dull surface cells and removes excessive oil from clogged pores. The apricot and Sea Berry formula won't irritate the skin or tear the delicate surface layer. If you are a lover of coarse exfoliators, then you will love this product. It is very reminiscent of a specific drugstore one that is one of my constant holy grails as it also contains apricot. I love me a good coarse exfoliator as it makes me feel like it's really doing its job, getting the gunk and dead skin cells from my face. Does this make me feel like it's doing that? yes, but will I repurchase this? Probably not. This is just way too similar to the drugstore version that I mentioned earlier and that is significantly cheaper and also contained salicylic acid. For the price of this one, I can buy at least 5 of the other one. On the website, this cleanser is deep and gentle, effective for every age. In addition to its antibacterial properties, it gently removes dirt, impurities and make-up while maintaining a healthy balance to your skin without stripping it of its natural properties. This is also said to keep your face fresh, clean and perfectly balanced. Love this product! This one has a very subtle citrus scent to it and contains very small exfoliating particles. While this is not coarse like the one above, this is gentle enough for everyday use. The one above is more so for use 2-3x a week. 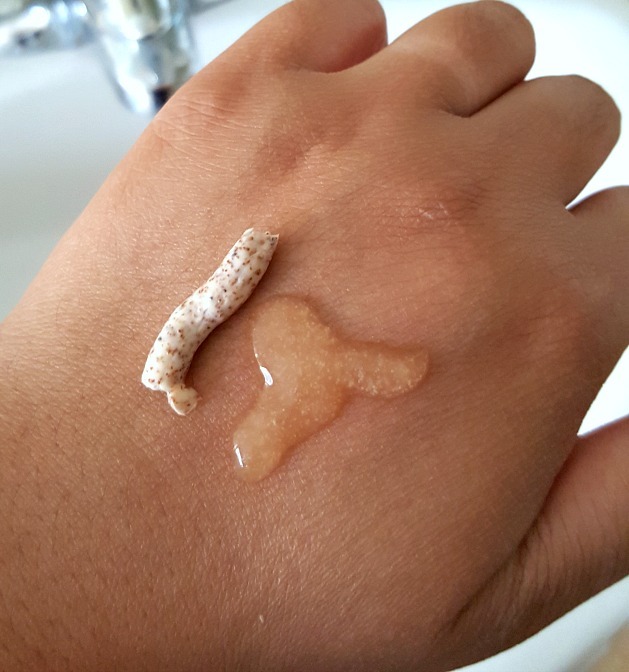 This product thoroughly cleansed my skin and left it feeling very hydrated, light and refreshed. My face did not feel stripped afterwards and was perfect for the hot summer months - cleaning the oil, clogged pores etc. I liked the product enough to possibly repurchase it again in the future, however as a beauty blogger (I have mentioned this before), I always want to try out new products and brands in skincare. Left: Exfoliating Face & Body Scrub | Right: Polishing Facial Cleanser. What I am actually most interested to try is the Omega-7 blend said to help fortify the nails and hair. I read a review that after a month, it significantly helps with hair growth and loss. Have you tried any products from this brand? Any thoughts? Would love to hear about them!